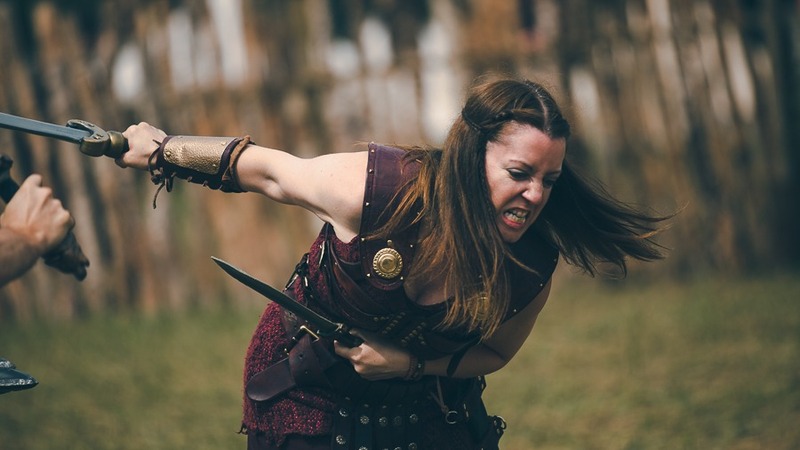 Ever wondered how to make your LARP costume look more like your characters clothes?Read on to find out about smart and convincing layers that add realism, and upgrade your garb now! The penny dropped while I was working on my costume for Odyssey LRP. I posted a picture on Facebook of my quite sad looking attempt at a LARP costume and I said ‘I don’t understand what’s wrong, it doesn’t look very good’. I knew the problem wasn’t with my sewing or the fit, there was something slightly intangible that I couldn’t quite put my finger on when it came to my LARP costume. 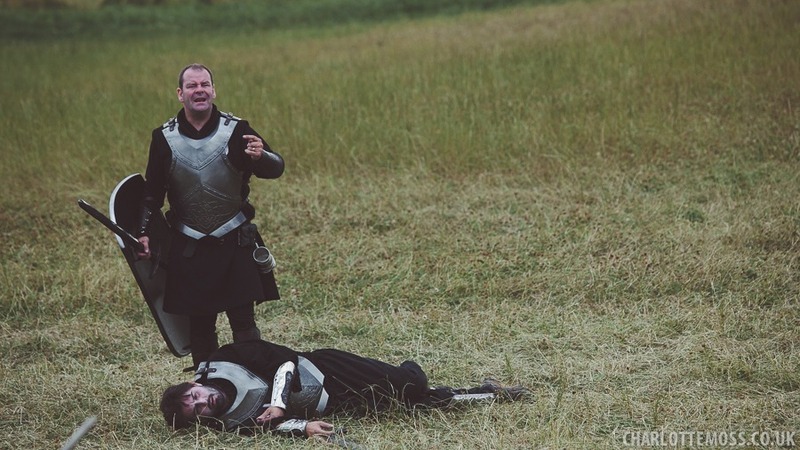 ‘You’re not wearing your character’s clothes yet, you’re wearing a LARP costume’ one of my friends said to me. It felt unhelpful at the time, but actually this is the best advice I’ve had for creating coherent outfits that work together for LRP. Part of the problem was that everything was still looking new and pristine – because it had just come from my sewing bench – but the crux of the problem wasn’t the newness of the fabric. ‘You need more tat’ another friend said – she plays an Orc at Empire and seems to carry half of the world on her warskirt. And they were both right. The key for an old and ‘just thrown on when I got out of bed this morning’ look seems to be putting together layers. And then adding layers of tat on top. I’m not quite there with the tat yet (I’m working on it) but here’s a visual guide to how I put together the layers when creating this costume. The base layer of the outfit starts with an orange robe. It’s a little too orange for the character really, but lots of this layer is hidden. The neckline and hems have some simple sewing machine embroidery around them for texture. The sleeves have a more complicated embroidery at the hems, but still easily done on most home sewing machines. Adding on the small amount of detail (and honestly, it took less than an hour) means that it’s no longer a couple of pieces of fabric that have been sewn together, but something which the character has deliberately considered and then chosen. 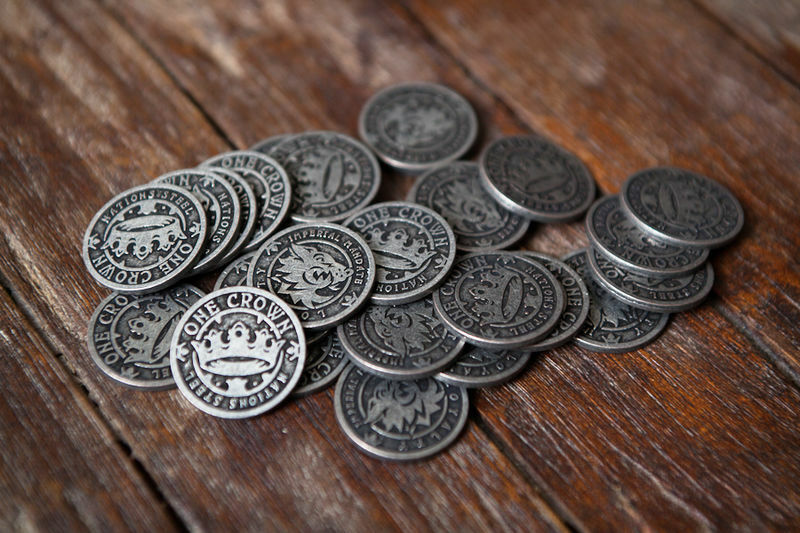 Good LARP costume is all about paying attention to the small details. The dye job on this piece is also deliberately rough. In my opinion, one of the easiest ways to make something look tired, worn, and ‘not modern’ is to dye your own fabric. If you’re not well practiced it can easily come out looking blotchy. However this can be a real advantage here when you’re putting together LARP costume. Clearly this isn’t going to work for a high status character but for this kind of outfit it seems to work pretty well. The first layer of tat! Inspired directly by Arya Stark’s belt in the most recent Game of Thrones series, this was a quickly made bit of kit the day before the first event this year. I wanted something to add some depth to the outfit and this was what I came up with. I’m going to work on a MkII version over the winter with Macrame and beads in order to come up with something more refined. Believe it or not, this long waistcoat is actually patterned from a fluorescent safety vest. I just laid it on some paper, drew around it, and extended it to the length I wanted. Then used that pattern to cut it out of fabric and sew it together. This is the only bit of costume that uses trim in the whole outfit, just a tiny amount of gold bling on the front and arm holes. What does make a difference here is the ageing. I started off with the relatively thin and uneven Ikea linen which has plenty of natural flaws. Then when it was finished I gave the whole thing a liberal dousing in very, very strong black tea. After that I focussed heavily in the areas that would naturally look a bit grim. You can see the effect on the hem at the front (which has been made worse by wearing it on a muddy site for several events). Thee back is even more horrid – I tried my best to replicate sweat stains down the centre back and it did actually work. I also added a liberal amount of Fullers Earth the first time I wore it. Unfortunately I can’t wash these robes now without losing much of the ageing effect. There are more permanent ways to create this look. Since it’s not a layer that is worn next to the skin I just iron the robes between events. I hang them up and Febreeze the whole costume liberally. Hanging the costume somewhere for a few days that gets a bit of air (ideally outside, but if not near an open window) then it will be more pleasant for storage. 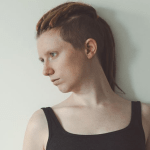 If you’re interested in ageing kit you might also want to take a look at how I created a LARP costume ready for a post-apocalyptic game. Next time I think about making a similar LARP costume I’d also consider breaking and repairing some of the pieces, which adds an extra layer of depth to something that is supposed to look old. Apparently my character likes belts. Who knew? She wears two of them at once. The first is just a strip of linen left over from another project – crucially it’s not the same as the linen of the robe under it. It’s supposed to have embroidery on each end, but it’s not quite got there yet. Good intentions and all that. The leather belt over the top is actually a charity shop find, originally from M&S. I think it’s supposed to be worn the other way around, but I’m not quite sure. It’s pretty ugly actually, but when it got a coat of dark brown leather dye it improved an awful lot. Not a bad approximation of a Hero Belt for just 50p (and the help of a friendly leatherworker). These belts really start to hide the under layers, like the net skirt. They also keep everything in place and stop it shifting around too much, and they put creases and folds into the under layers too, meaning that they begin to come to life a little more. It seems counter intuitive to add layers to a LARP costume and cover up everything else you’ve done so far. Trust me on this one. 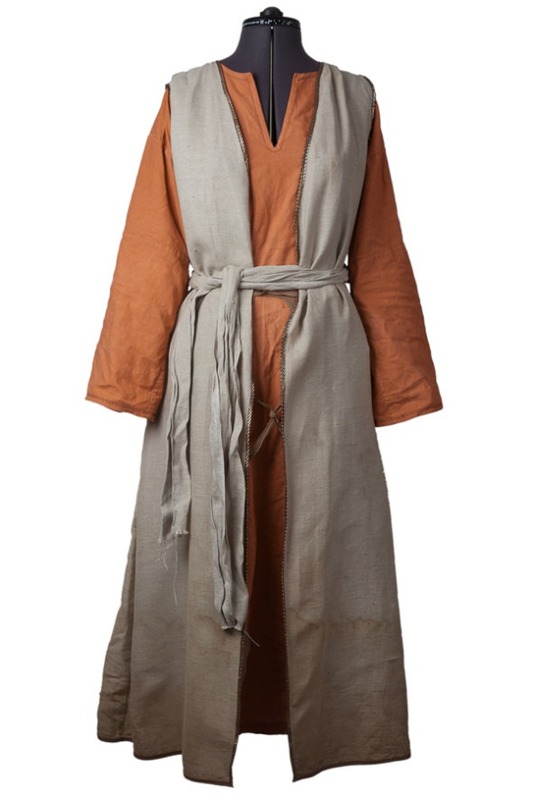 This light robe really pulls everything else together. The fabric is a thin cotton so it easily catches in the breeze and shows everything else that’s underneath meaning that all your hard work is not lost. However it also covers things up which makes it look real. When it’s cold and you put your coat on to go to the shops do you make sure that everything is meticulously arranged and on show? Actually – don’t answer that. Perhaps I’m the exception by not caring what I look like when I go to buy a pint of milk. Making a LARP costume look ‘real’ is often about thinking about we construct layers of clothes. When I wear a jumper I usually wear a t-shirt under it. They have different necklines, and you might only see half an inch of my t-shirt, but the important thing is that it is there and I’m wearing more than one layer of clothing. If your character was meant to be someone who traveled would they really just wear a single layer? Or would they wear lots of layers so that they could take things off and put others on? Layers make people more comfortable and they’re practical. It adds realism. There’s also similar embroidery on the sleeve hems to the sleeve hems of the orange base layer. Slightly different patterns but close enough that they look like my character likes this little detail. It help’s to make everything look like it belong’s to my character. It’s as if she has a reasonably consistent sense of taste. I briefly experimented with just a rectangle of fabric for warmth. Other Minoans were doing a similar thing so it would have looked coherent with the group, but ultimately I’m not really the kind of person who can manage to balance fabric on my shoulders for more than about thirty seconds. You have to think practically as well. You need to wear these things for up to 16 hours a day or more. This layer is heavy and adds weight in the evenings when the sun drops. It’s also reasonably waterproof because it’s wool. Actually the whole outfit when worn together is really quite heavy, there’s a good twelve meters of fabric there. Speaking about how much fabric is in the whole thing, you’d be surprised at what it cost to put together everything I’ve talked about here. If I remember the costs of things correctly, the whole outfit came to under £70. That’s for the fabric, dye, trim, and thread/findings. I’m a huge believer that anyone could put together an outfit like this – even a total beginner. You just have to take it slowly. And the beauty of an outfit like the one above is that you can start with just the base layer and then work your way up. Each event you can add just another piece, or perhaps refine the ones that you have already made. I know this winter I’m going to start adding detail to my robes. I will look at embroidering patterns and images onto the individual items to build up their intricacy. As well as possibly adding some rips and tears into the garments and then fixing them visibly. 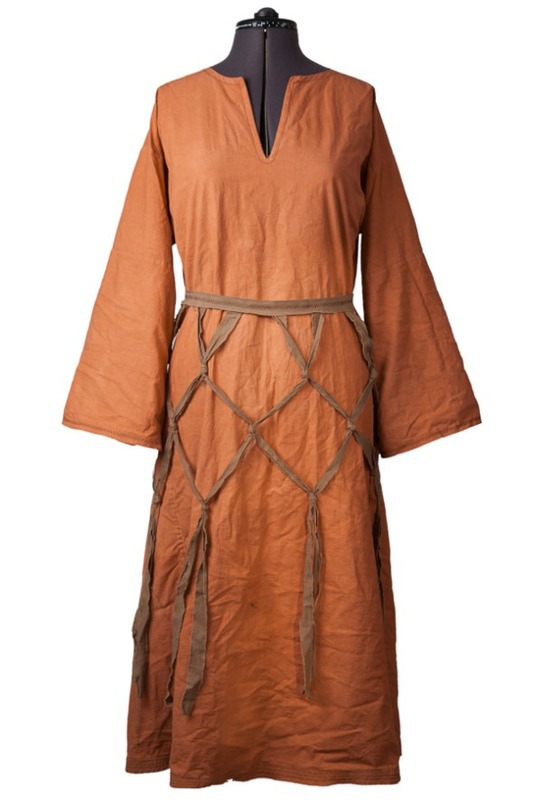 Those small details help me look authentically like my character, and they turn it from LARP costume into clothes. 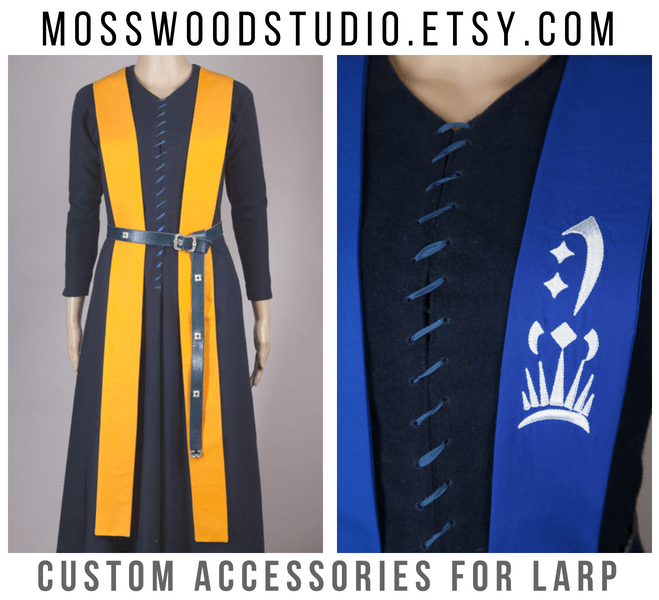 If you’d like to commission some costume that is custom made just for you head over to the Mosswood Etsy shop and get in touch! If you want some ideas for simple LARP costumes that aren’t necessarily historically accurate, check out the book ‘Patterns for Theatrical Costumes‘ by Katherine Strand Holkeboer. The book features a huge variety of different looks divided by period (with a male and female options). It also contains diagrams showing how to recreate the look without getting hung up on the intricacies of historical accuracy. 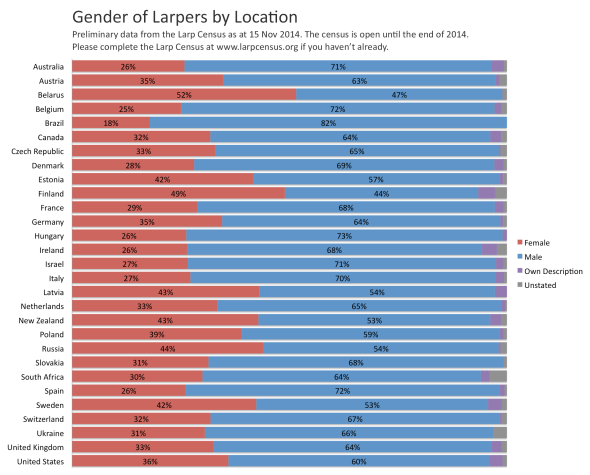 The patterns are designed for theatre where you need to convey an idea which makes them ideal for LARP. 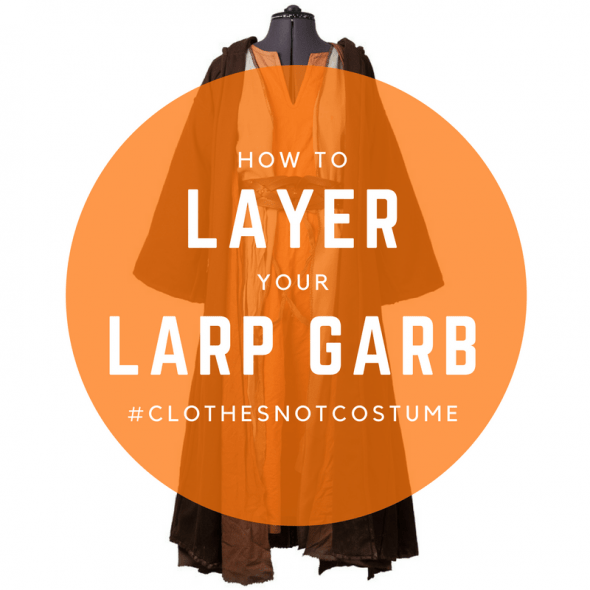 Fantastic post about how to turn a ‘costume’ into ‘garb’! I found this through a share that someone made on one of my FB Amtgard pages. As you point out so succinctly, it’s the little details that matter. They may not be noticeable at first glance but they all add up to give a great impression. Way back in the mists of time when I first got into Recreation/ LARPing, I had a wonderful disscusion with someone who was always wonderfully turned out and she made the same points as you about how to make an outfit look like something that would be worn by your character as opposed to a costume for playing dress-up. All these years later it’s still a principal I hold to no matter if I’m wearing a Medieval coathardie and gates-of-hell or a full Victorian bustle dress or something in between. Thanks for posting this and as soon as I have a block of free time I plan to read more of your blog. Thank you, I’m amazed to see how widely this particular post has been shared. I’ve seen it turn up on groups all over the world which is fantastic! 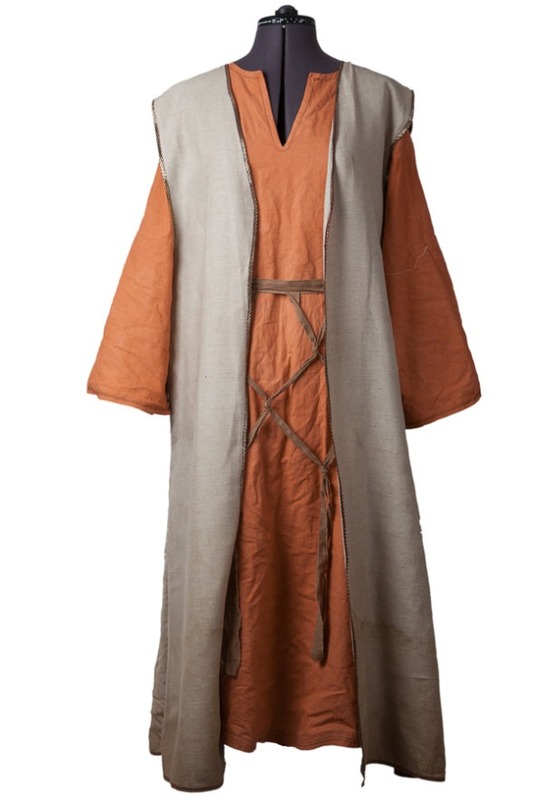 So what if it looks like Jedi robes. 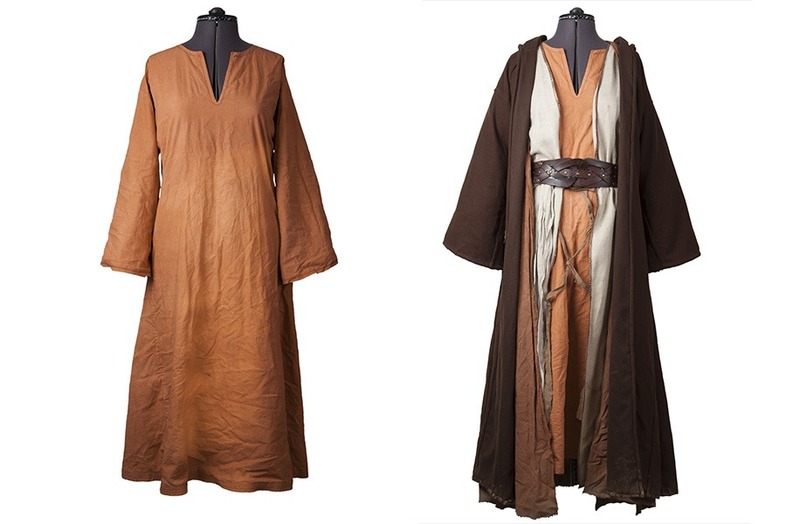 It looks like AWESOME Jedi robes. 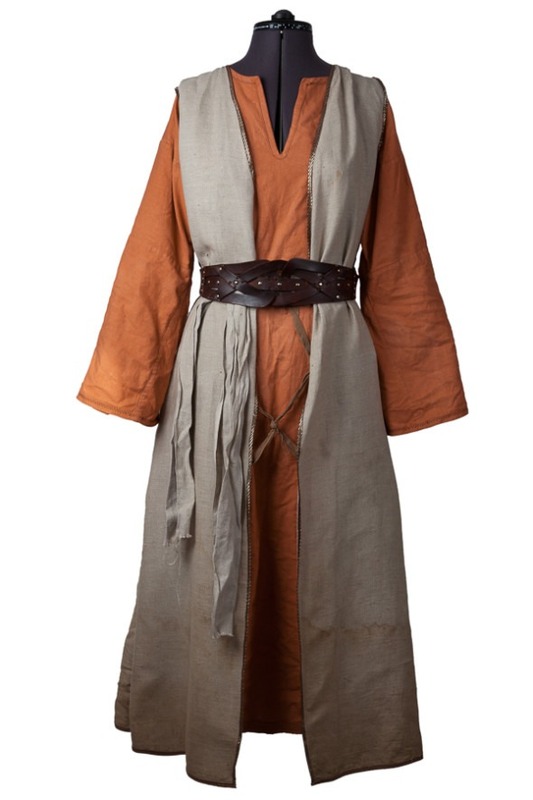 Just because its being used for a LRP, doesn’t mean it can’t also be a Jedi cosplay outfit. My first LRP character wore a black sued vest that also doubled as part of a Renaissance faire pirate costume. One of the greatest secrets to good costuming is making it multi-use. 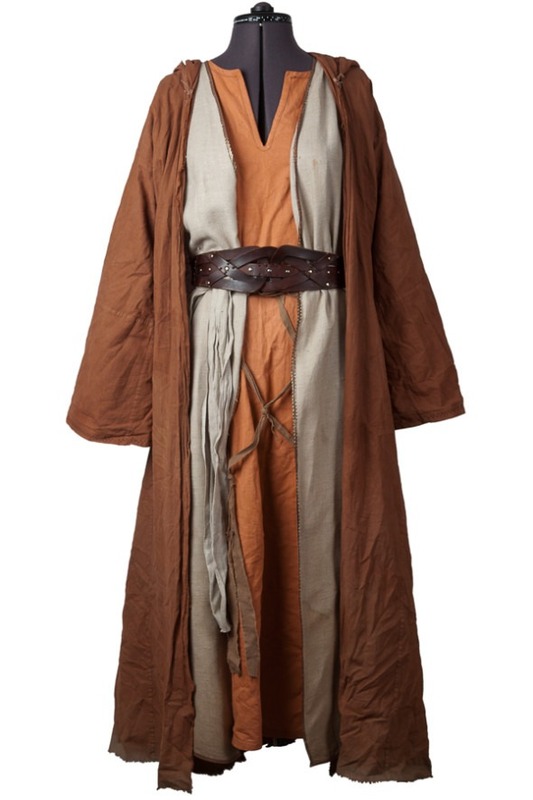 I’m afraid that I have never seen Star Wars and I’m not sure I could tell you what a Jedi looks like without Googling. 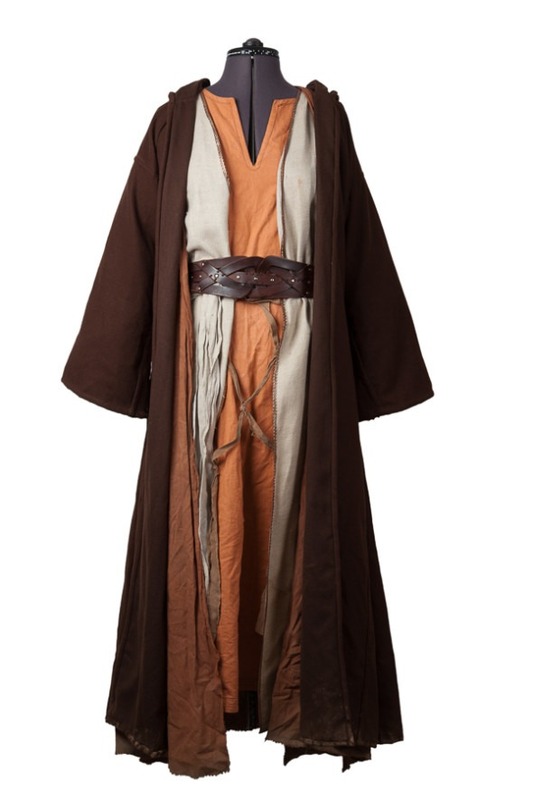 However I’m getting the distinct impression that anything that involves a floor-length brown layer is instantly derided as ‘Jedi’ as if that’s somehow an insult. I think it looks like a great outfit, which will be warm, dry, and adaptable in different weather conditions. If you find yourself wanting to go back to the rectangle-of-fabric thing, pick up a brooch or cloak pin to keep it in place – it helps immensely to have it attached to itself. 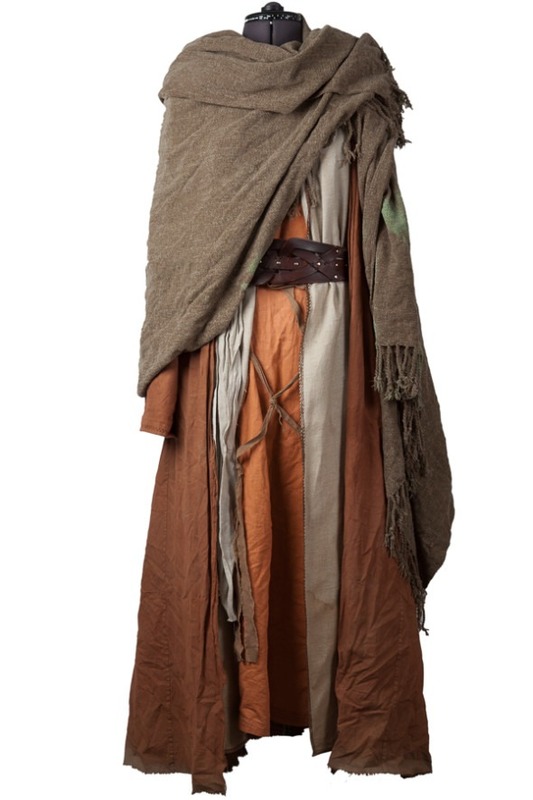 I think the clothes not costume thing is why film and theatre costume sales can be disappointing. 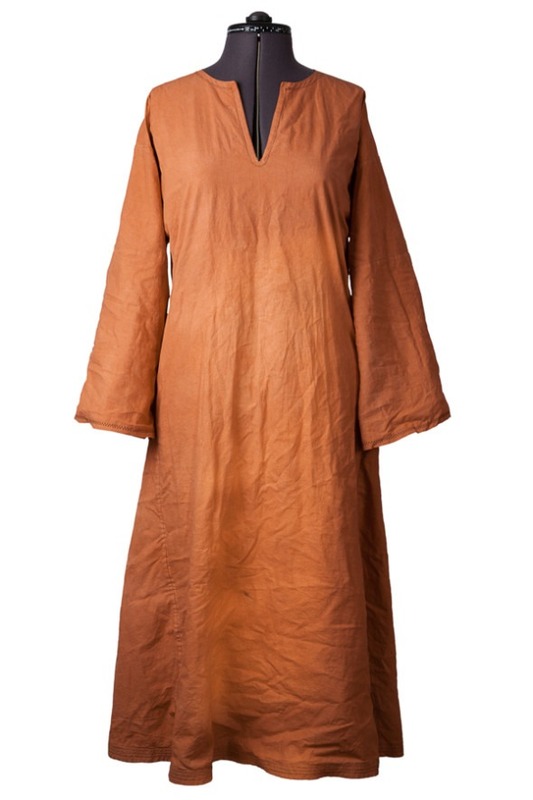 The fabrics for costume are designed purely for the aesthetics, clothes need practicality. I really like your outfit and it came out really cool. Gave me some great ideas and thank you for sharing! I play as a bog witch. And made a net robe from costume netting at a local fabric store. I then put all kinds of bits and bobs on the robe. Now I can wear this over all my other costume, real life items and thrift store finds, repurposing them. A good robe or signature piece makes a real difference.